C.W. 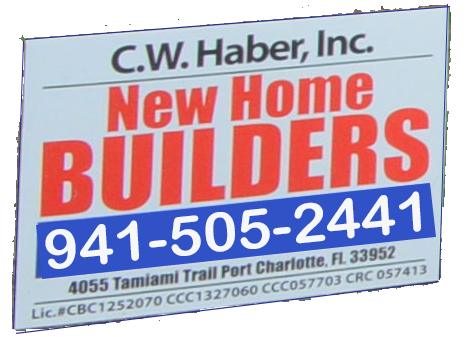 Haber, Inc. has had a presence in the southwest Florida area for the past 19 years. The company was opened in 1989 and was organized as a C-Corporation in 1996 in the state of Michigan and was granted foreign status in Florida in 1998. C.W. Haber, Inc., holds four state-certified licenses: two roofing licenses, one commercial builderâ€™s license and one residential builderâ€™s license. Over the past 19 years the majority of our income has come from residential and commercial new construction. After Hurricane Charley in 2004, we expanded our business to include hurricane restoration and remodeling, in addition to our new home construction. C.W. Haber, Inc., has an excellent safety record, with no loss-time accidents ever recorded. We have periodically requested an OSHA inspection consultant from Central Florida University to come in and review our safety program. With the help of this consultant we have structured safety programs and safety manuals for each specific area of work that we have. We encourage you to review our building record with Charlotte County Inspection Division, as well as with the State of Florida. Client and banking references can be furnished upon request. Please call our office for further information,(941)505-2441. Our office hours are Monday through Friday, 9:00, a.m., until 5:00 p.m.
GET IN TOUCH WITH C. W. HABER CONSTRUCTION INC.
©2017 - C.W. HABER CONSTRUCTION INC.